Fact: LEGO video games sell well. Fact: Harry Potter tie-ins sell well. Fact: Nintendo consoles sell well. Can you see where this is going? 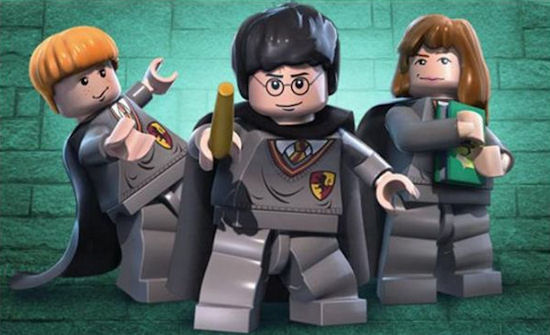 Yes, Warner Bros. has announced the official video game of the tail end of the Harry Potter saga, with LEGO Harry Potter: Years 5-7 coming to all current Nintendo formats this year. Wii, DS and 3DS owners will be able to join in the wizard's final adventures later this year, with the game taking the final three books/four films and turning them into the series' trademark puzzles, platforms and humorous cut scenes. Expect to see the culmination of Harry's blocky adventures on shelves in the run-up to Christmas. Warner Bros. Interactive Entertainment, TT Games and the LEGO Group are pleased to announce that LEGO ® Harry Potter™: Years 5-7, the follow-up to the hit game LEGO Harry Potter: Years 1-4, will be available Q4 2011 for the Xbox 360® video game and entertainment system from Microsoft, PlayStation®3 computer entertainment system, PSP® (PlayStation®Portable) system, the NGP system, the Wii™ system, the Nintendo DS™ and Nintendo 3DS™ hand-held systems and Windows PC. Based on the last three Harry Potter books and final four films, LEGO Harry Potter: Years 5-7 takes players through Harry Potter’s heroic adventures in the Muggle and wizarding worlds. From Privet Drive in Little Whinging to Diagon Alley, Hogsmeade and Hogwarts – plus new locations including Grimmauld Place, the Ministry of Magic, and Godric’s Hollow – players will encounter new faces, new challenges and new magic, preparing them for the ultimate face-off against Lord Voldemort™. 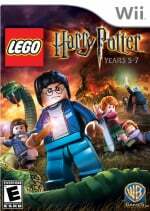 LEGO Harry Potter: Years 5-7 is being developed by TT Games and will be published by Warner Bros. Interactive Entertainment. how about lego lord of the rings? now THAT would be good. I hope that they fix the numerous glitches that were in the first game. Also, I've heard a rumor about Lego The Hobbit, which might coincide with the release of the Hobbit movies. I hope it becomes more than a rumor. Surprise. Didn't see that one coming. I've heard these LEGO games are fun but I've had zero interest in any of them... I'd much rather play with 'em than game with 'em, but that's me. Now, if they do a LEGO Ghostbusters videogame, I'm ALL IN! Ugh I'm getting a bit lego'd out. Starting to feel like all the Lego games are getting a bit milked now. Don't forget, Lego HP 1-4 is generally regarded as the best Harry Potter video game. Maybe that's not saying much (since Order of the Pheonix is really the only really good HP game), but that's still a decent achievement. Hell yeah, I can't wait. I loved the Wii version and I am currently playing the DS version. Never really played the first one, but I played a LOT of Lego Star Wars when I was a pre-teen, and I like Harry Potter, so I might play this one. @legend_marioid I take it you haven't heard of the handheld rpg Harry Potter games on GBC and GBA. I am still waiting for the complete saga. I was obviously expecting this, but it's nice to see an official announcement. Even though it's only with Legos, I hope they make the kids look older in this one. So, NGP is coming towards the end of this year. I was wondering when this was going to come out. Should have figured it was going to come out around the same time as the last movie. if this is as good as the wii version this will be a must get for me.